Networking events like these are really valuable for new businesses, because you can get a lot of good advice and input from experienced people who have been in business for years. It’s always interesting to learn about different business models. Something technologists might not appreciate is that not everyone who sells stuff online needs an ecommerce system. After speaking to Paul from Stanwell Office Furniture, I realised it’s common for organisations who sell directly to other businesses, to simply use a website where their clients can log in and download a product catalogue. The phone call is still a fundamental part of doing business. Joanne at Elite Telesales pointed out that prospective clients will frequently find and gather information about you through your website, but will usually decide to buy only after speaking to you on the phone. Don’t overlook hiring the skills of a specialist consultant rather than assuming you know what you need to buy. In the case of Steve’s specialist security consultancy, clients come directly to him with goals for a security solution and he chooses the best fit for their particular situation. In other words, clients hire Steve’s expertise to come up with solutions to their security problems. For example, if a client had suffered a break-in and automatically assumed they needed CCTV, Steve’s firm might provide an alternative insight that could save the client time and money. 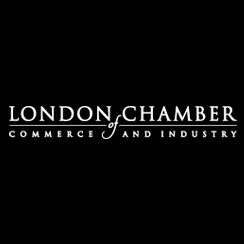 This was my first LCC Time to Talk Business event and I found it tremendously useful. It is a great opportunity to mix with London’s vibrant community of entrepreneurs and I recommend these monthly events to anyone in business in London.